If you’re suffering from frequent bouts of sore throat and are looking for some effective yet handy home remedies, then we are here to help. The changing weather is causing a toll on many people’s health and the constant rise in the number of flu and sore throat cases is a proof of the same. However, in order to seek fast relief from sore throat, a basic kitchen ingredient like ginger can come to great help. Ginger is also known to heal the gut, further keeping digestive health in check. A congested chest can turn out to be quite annoying. Plus, if it is accompanied with sore throat, then the condition can get even worse. An easy way to get rid of the same is by having a soothing syrup made using ginger as its main ingredient. All you need is 2 tsp of ginger juice, black pepper and turmeric, 1 tsp vinegar, and 1 tsp honey. Mix all these ingredients with 3-4 tbsp of water and consume this syrup once a day. You can collect ginger juice by grating the ginger first and then squeezing it. Apart from this, ginger tea can help soothe sore throat as well. To begin with, take a bowl and add water to it. Bring it to boil. Once the water is sufficiently hot, add the remaining three ingredients to the hot water. Transfer it in a cup and let it seep for a while. Strain and drink the tea for instant relief. 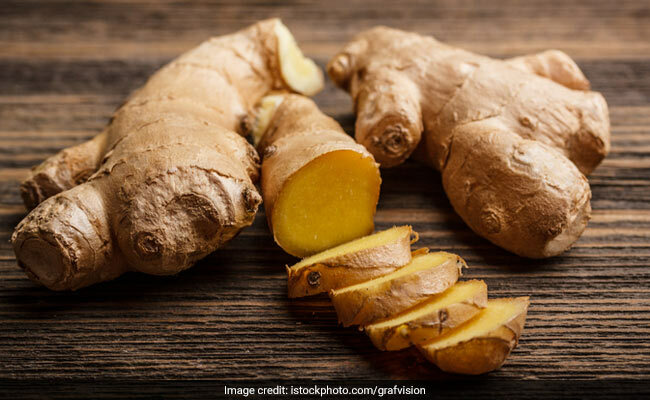 So, the next time you go for grocery shopping, get hold of fresh ginger and store it in your fridge, as it is going to come quite handy in keeping those sudden bouts of sore throat at bay. You may also add other healing herbs to the drink to make it more effective.